With big corporations including Tencent and Alibaba already investing heavily in the healthcare industry, there is a lot of speculation as to what the future of healthcare will look like, and also how corporations, startup companies, investors, physicians, and hospitals will collaborate in this space. China has undergone concerted development over the last two decades to improve healthcare access through insurance reform, infrastructure investments, and market expansion of private hospitals and insurance. In 2014, China spent 5.5% of the country’s gross domestic product on healthcare and in 2016, the Chinese healthcare market was worth a total of $854 billion (5,670 billion RMB). Despite health sector expansion, major health disparities and systemic issues still exist. 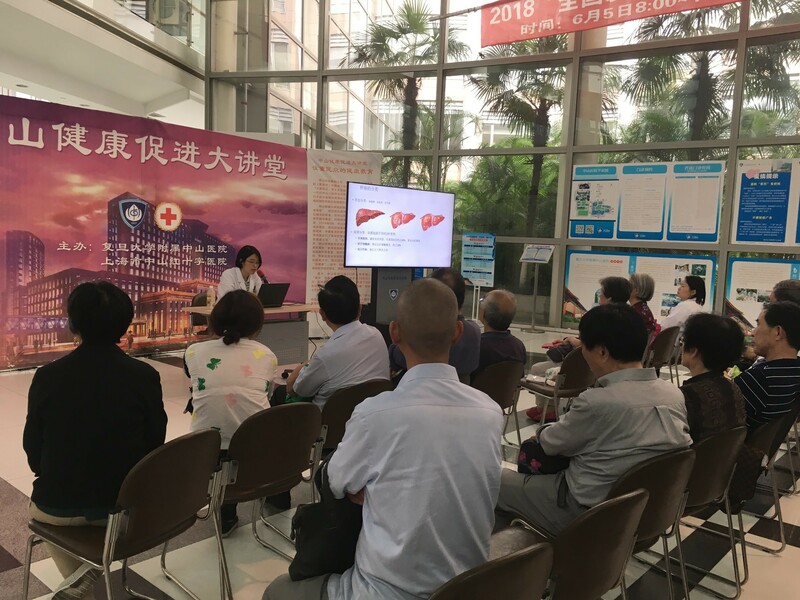 In order to further understand this topic, we conducted in-depth interviews with Chinese citizens to understand opinions and perceptions of the current state of healthcare. From our research, we discovered that three of the most substantial issues facing Chinese healthcare include: 1.) Rural vs. Urban Disparities, 2.) Overcrowding at Tertiary Hospitals, and 3.) the Needs of the Growing Elderly Population. While urban hospitals have undergone positive shifts towards advanced medical care, rural clinics are increasingly understaffed, undersupplied, and underutilized. A woman from Jining, a third-tier city in the Shandong province, stated that the doctors in her city “are lacking in terms of experience, knowledge of rare diseases, breadth of knowledge, and access to the latest technology (both general and specialized doctors). In technical training as well, the local doctors are behind.” This statement illustrates how smaller cities not only face the issue of fewer hospital beds, but also the lack of expertise in their healthcare professionals, which further perpetuates patient-physician mistrust. People from all over the country choose to travel to big cities, such as Shanghai, for the sole purpose of receiving better quality of care. Unfortunately, this within-country medical migration leads to overcrowding in tertiary hospitals, which are usually are located in major cities and meant to provide specialist services for rarer illnesses. For example, hospitals that received a top “triple-A” ranking makeup only 7.7% of the country’s medical centers, but handle 50% of outpatient visits. Overcrowding strains both doctors and patients alike to keep up with this demand. Doctors must work exhausting hours and see sometimes hundreds of patients each day, while patients seeking care must make appointments a month in advance. China is aging rapidly and by 2030, nearly a quarter of the population will be >60 years old. An aging population has unique needs, especially due to a higher burden of chronic diseases. In fact, almost 80% of deaths in people >60 years old are attributable to chronic noncommunicable disease. These elderly patients are also more hesitant about new developments and changes in healthcare. When asked about their current or future uses of mHealth applications such as WeDoctor or PingAn Good Doctor, many elderly patients showed resistance because they described themselves as wenmang, or illiterate when it comes to technology. For more on ways to target elderly population with technologies, please view our report on Activating the Elderly. While the issues affecting Chinese healthcare are large, the private sector of Chinese corporations and startups view this as an opportunity and are stepping up to the challenge. In fact, novel solutions to address these national issues lies in health technology: technology designed to aid and streamline the healthcare system. 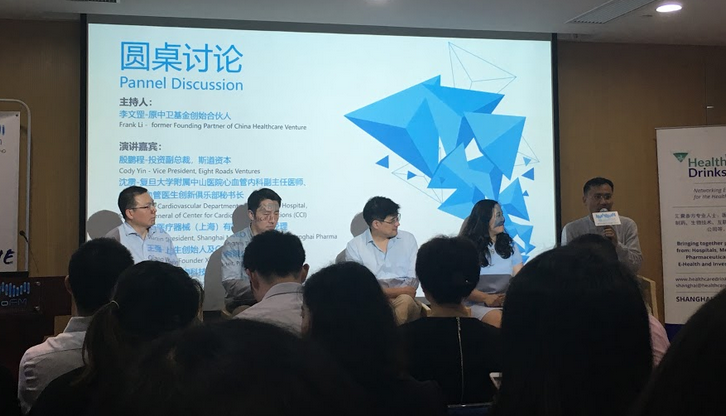 As a part of our research, we attended a panel discussion hosted by Healthcare Drinks on the “Keys to Startup Success in China’s Hot Healthcare Market” that centered around a panel discussion to provide insights on the healthcare startup market. Here we learned about trends in the Chinese healthcare market from a diverse group of healthcare professionals from startup founders to investors to pharmaceutical company officials. When the panel was asked, “What are investors currently looking for in health tech startups?”, many of the panelists expressed similar views. Mr. Yin (Eight Roads Ventures), a venture capitalist, stated that sustainability is his top-priority. Not only does the product have to be viable, but the team must also be compatible and able to withstand the hardships of running a startup. Keep in mind that the investors are looking for products that THEY believe are the best. Make sure you understand how your product will ultimately impact society and address WHY you are doing what you are doing. Think about your opponents and what their ongoing projects are. Another recurring trend was that investors are especially interested in the future of insurance and pharmaceutical companies. Since the Chinese government recently loosened many of their previous strict regulations, investors see huge potential in innovative startups in these areas. In the midst of the panel, Dr. Li Shen (Zhongshan Hospital), a physician at the cardiovascular department at Zhongshan Hospital, posed a question to the entire audience, “how many of the people here tonight are doctors?” Out of a crowded room of around sixty individuals, only two people raised their hands. He used this as an expressive example of how many companies and individuals working in health business often don’t consult with physicians while developing and implementing their product. Many doctors have innovative ideas, but they often lack the time and means to turn them into reality. So while startups or companies are embarking on projects where physicians are major stakeholders, it is key to get feedback from health professionals themselves throughout the process. Bringing doctors into the conversation will ensure that actual needs are being met. Additionally, uptake of new health technologies will improve when doctors and hospitals are aware of and part of the development process. Beyond this, the involvement of real doctors also lends credibility to projects and helps grow public trust in the medical accuracy of health technologies. Inviting doctors into the healthcare technology space is sure to streamline development, as well as implementation. Overall, Chinese healthcare remains a huge market full of abundant opportunity for investment because of sheer size, a growing middle class, and government interest in improving market conditions. Future pursuits may focus more on the implementation of existing technologies on a larger scale, in addition to continuing cutting-edge research. The Chinese government has pinpointed healthcare technology as a focus area for expansion. The government’s regulations and investments best allow for innovation when their interests align with businesses. For example, China has become more open to foreign investments, creating both more opportunity and more competition. In the pharmaceutical industry, they require foreign-domestic partnerships for access to the market, continuing to benefit local companies while the inflow of foreign money increases. Insurance reform has been a top priority for years now, and coverage of AI-based medical tools or telemedicine would be another step in the right direction. One example of government interest in health technology is Tencent’s Artificial Intelligence Medical Innovation System (AIMIS). AIMIS is an artificial intelligence-based medical diagnostic tool, with 90% accuracy rates for the diagnosis of esophageal cancer and 97% for diabetic retinopathy so far. AIMIS has been endorsed by the government as the national diagnostic medical imaging platform as part of an initiative to implement AI systems in hospitals across China. As of 2017, AIMIS only had 10 labs and plans to deploy in 100 hospitals, but now we can expect to see rapid expansion. While companies can seek investment and develop technologies, it requires the support of the national government to be able to scale it up. Ultimately, progress will require an incredible amount of time, resources, and cooperation from all parties involved. For more information on the role of healthcare technology in Chinese healthcare, keep an eye out for a full report that will be released in the coming months. This article was researched and written by Caroline Lee, Anson Tong, & Margaret Wang, Research Analysts at Collective Responsibility.